What you do not know about Russian military exercises in the Mediterranean. The Russian Ministry of Defense announced that some branches of the country’s armed forces will participate in military drills in the Mediterranean Sea in September. Sputnik consulted with a captain of the Russian Navy about the importance of these exercises. The Russian Navy and Air Force will hold large-scale military exercises in the Mediterranean Sea from September 1 to 8. In the maneuvers will take part the ships of the Black Sea, North and Baltic Fleet, the Caspian flotilla, and the aircraft of strategic, naval and military transport aviation. In an interview with Sputnik, the captain of the Russian Navy Vasili Dandikin told more details about the simulations and commented on the importance they have for the Armed Forces of the country. 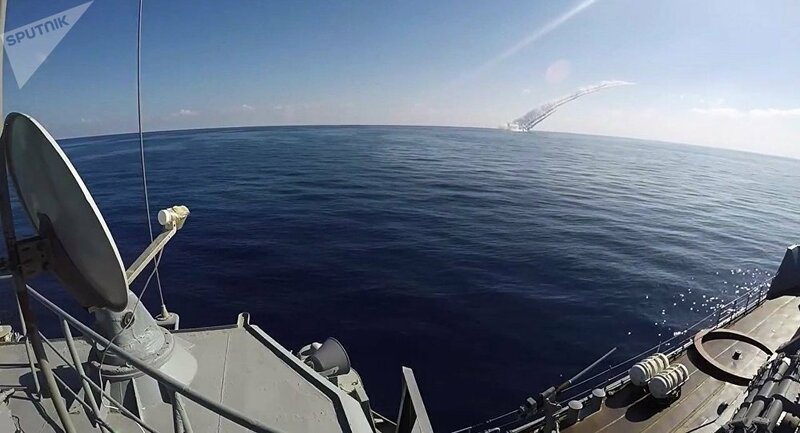 Although the maneuvers that will be carried out in September were already planned, the military high rank highlighted that “an important aspect” is taken into consideration when carrying them out: “The tension that has developed in the Eastern Mediterranean region”. “This is mainly due to the fears of a provocation with a false incident with chemical weapons in Idlib, and also with the activation of NATO forces, mainly from the United States Navy, the United Kingdom, France …”, he said. captain. Dandikin explained that a large detachment of the Navy will participate in the Mediterranean simulations. The captain of the ship highlighted the participation of the different vessels that carry cruise missiles Kalibr and the two submarines of the Black Sea Fleet that are already in the region. In addition, the maneuvers will test the air defence facilities located in Syria, both in Tartus and Hmeymim, in conjunction with naval aviation and military transport, he said. “Our boats will try to solve the tasks related to the search of submarines, with the antiaircraft defence, the attack to a potential enemy with missiles, artillery, etc”, explained the captain. “Our military – sailors and pilots – will obtain an unquestionable experience, improving their skills in conditions similar to those of combat,” concluded Dandikin.